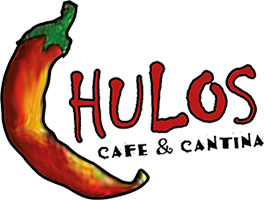 Chulos Café and Cantina was founded in August 2011. With a vision to create an innovative menu that introduces our Mexican and Peruvian influences. We strategically combine food, wine, music and art to give our customers a delightful experience. You can enjoy a cozy dining room with warm colors, as well as a vibrant outdoor patio. The décor, filled with art and pottery, reflects our roots from Mexico and Peru. Chulos offers an extensive breakfast and lunch menu, that features American cuisine with a Latino touch. Not to mention a wide selection of artfully created coffee beverages. We also provide a fun happy hour with a variety of traditional and fusion tacos, beer, margaritas and house-made sangrias. From casual, Chulos converts into a sophisticated dining experience with Nouveau-Latin dishes to go along with handcrafted cocktails. Our local musicians highlight the evenings with the sounds of flamenco, spanish guitar, Brazilian romance and Latin jazz. To show the loyal clientele our appreciation, we have created a “Local’s Night”. You can enjoy half price tapas and a half price bottle of wine. Chulos prides itself for being the first restaurant that introduced Peruvian cuisine in San Luis Obispo County. Please come, relax and enjoy a unique experience with us. We feature live music Fridays & Saturdays for your entertainment, to enhance your dining experience. Copyright © 2019 Chulos Cafe & Cantina. All rights reserved. Site design by Calla Web Design.